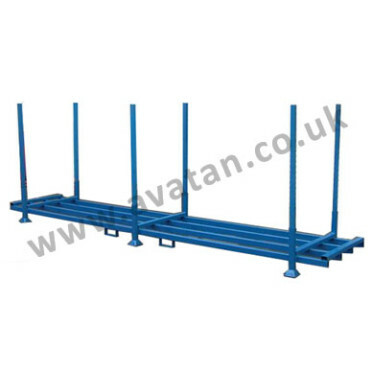 Post pallets and stillages, manufactured from mild steel, are a simple and safe way to stack larger and less uniform products and can provide exceptional versatility in the warehouse. 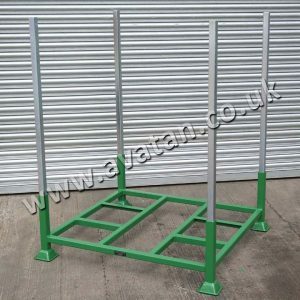 We carry stocks of different styles of Postrack and offer an extensive range of rigid and demountable post pallets, and bar pallets. 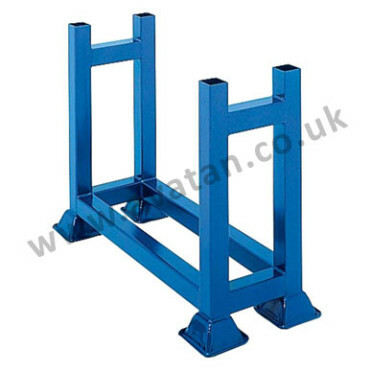 Manufactured from steel angle or box section, these offer a long-lasting storage solution. 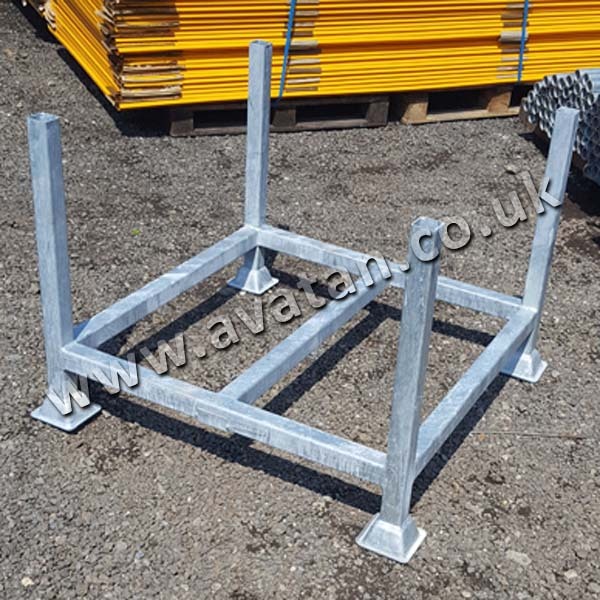 Our rigid and demountable post pallets can be constructed to withstand different maximum loads and may be supplied with post length to suit your needs. 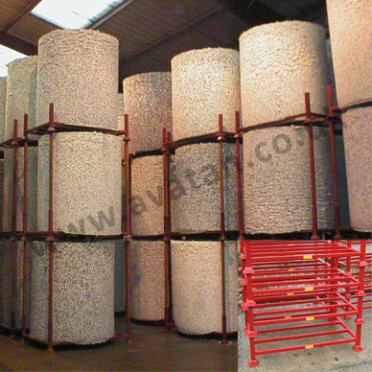 A post pallet by definition is open sided and will not have mesh or sheet infill in the sides. 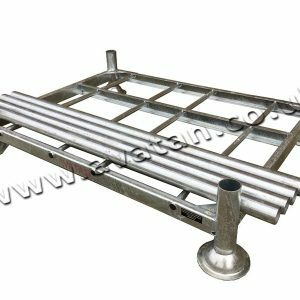 Generally four-way fork lift access is possible and with open braced or sheet steel decking, post pallets can be designed to suit most warehouse needs. Please contact us to discuss your requirements. 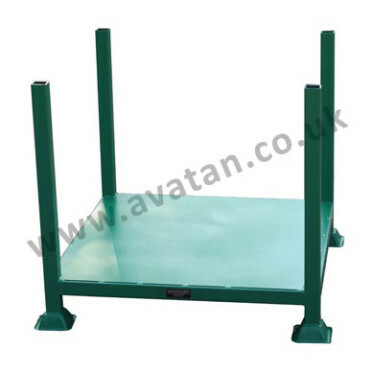 Postracks and post pallets can be stacked up to four high, another space saving feature. The demountable stillages allow for easy storage when not in use or when being transported to different locations, making them a great temporary warehouse solution, superb to accommodate and manage peak or seasonal demands. 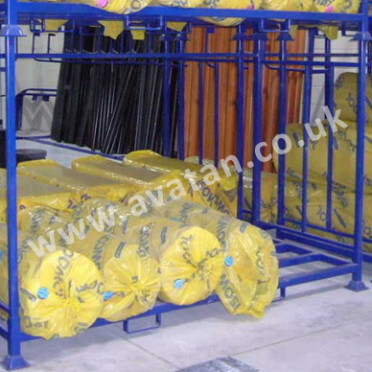 Avatan is a leading manufacturer of fixed and temporary warehouse solutions. 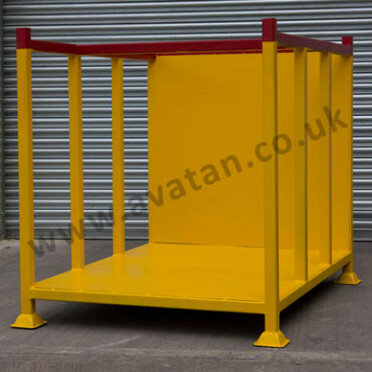 With over 25 years’ experience, our experts can advise on the most appropriate post pallet, stillage or postrack for your needs.